Project GD STI is a daily driver that we put a lot of miles on, from driving to our daily appointments, to the office and to the track on the weekends. Just in case you didnt know this, Southern California is a hot area, desert really, with a lot of sun exposure and all tracks around here are in the pit of the earth, really in the desert! Our car had a crappy tint job with cheap tint. It was fading purple and peeling so it had to go. 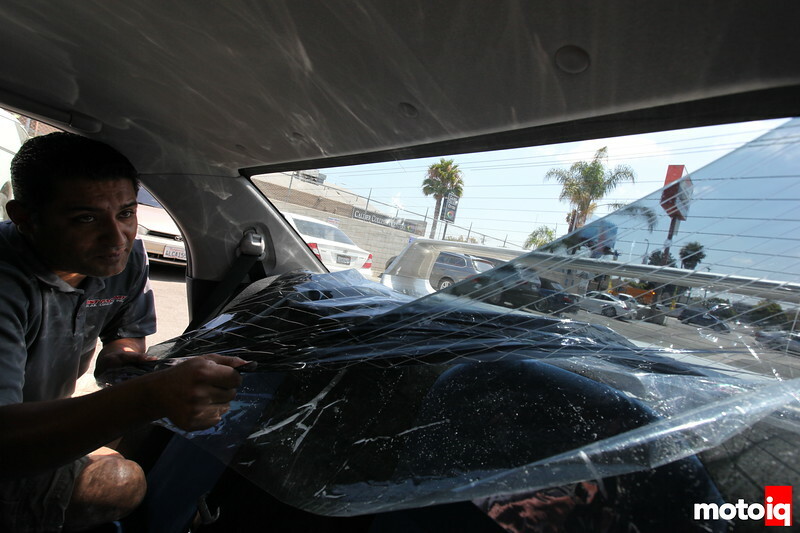 The rear window tint has to be removed carefully as you don't want to damage the antenna and defroster grids. 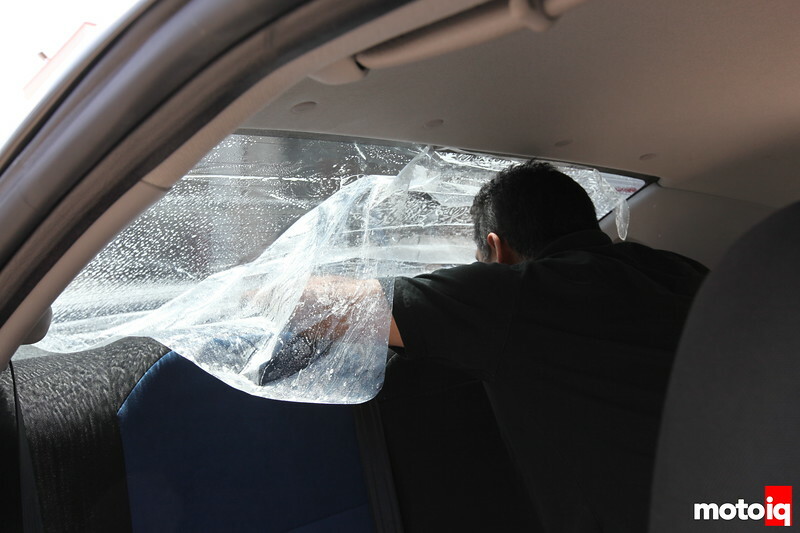 The best way to remove tint completely without scraping is to first apply a piece of plastic to the tint using plenty of window cleaner or soapy water. You apply the sheet of plastic just like it was tint but leave the liquid in place instead of squeegeeing it out. Being in sandy rocky areas means that our tracks are like sandblasters to your car's finish and a dual purpose car's paint gets smoked in track use. We are constantly fighting heat, UV light, blowing sand, debris and other severe environmental conditions. Since we shopped long and hard for a used GD in great condition, we wanted to keep our car's paint and interior nice. Park the car in the sun for about 15-20 minutes to soften up the adhesive. 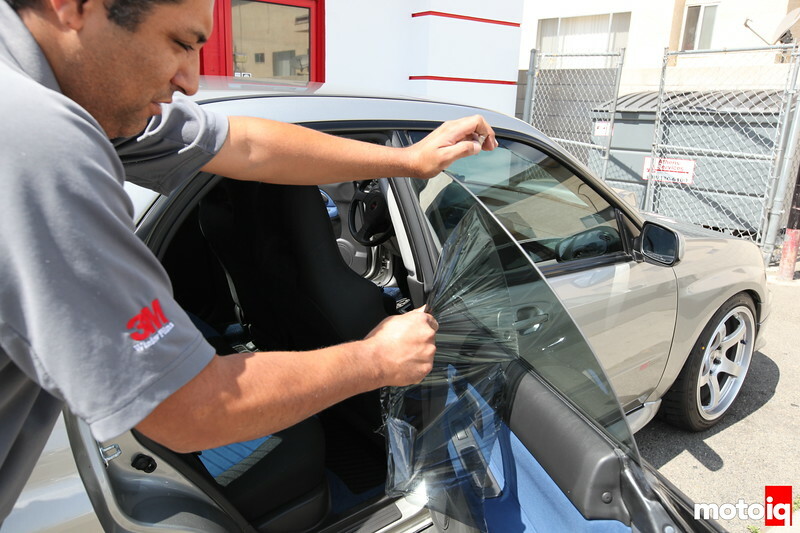 To help keep Project STI's interior cooler, fade and dash crack free and to protect our paint, lights and trim from abrasion and pitting during road trips and track days, we called upon the folks at 3M for help with some of their advanced film technology. 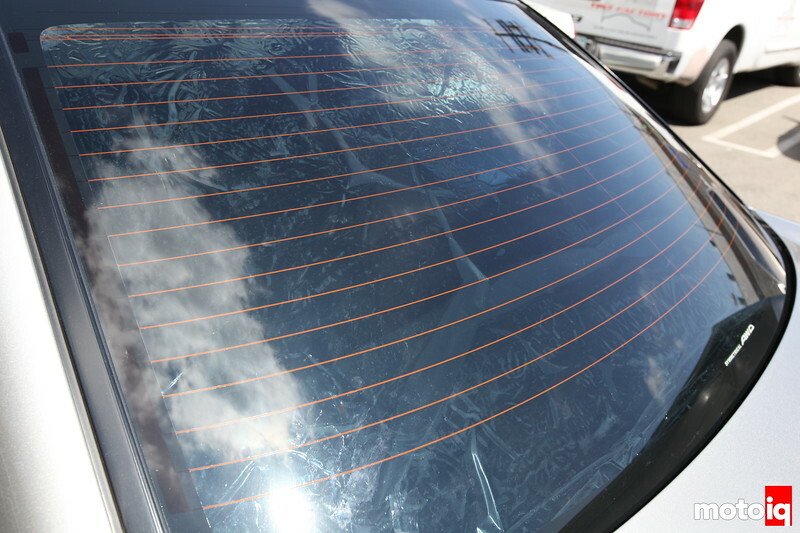 After sitting in the sun for about 15-20 minutes, you peel off the plastic and the old tint comes off with it. No adhesive residue and no risk to the rear defroster grid from scraping. For window tint we selected Crystalline, Crystalline uses 3M's proprietary multi layer technology. The working middle substrate of the film consists of over 200 vacuum deposited nano particle individual layers that block damaging UV and heat inducing IR light while letting the visible light you need to see pass. The process used to create Crystalline was developed from 3M's aerospace division for IR sensors on satellites. How this technology works exactly is a closely guarded secret of 3M. The side windows were already peeling so we just got it started more with a razor blade. The film's top layer is a special scratch resistant layer and the bottom layer is an adhesive layer. 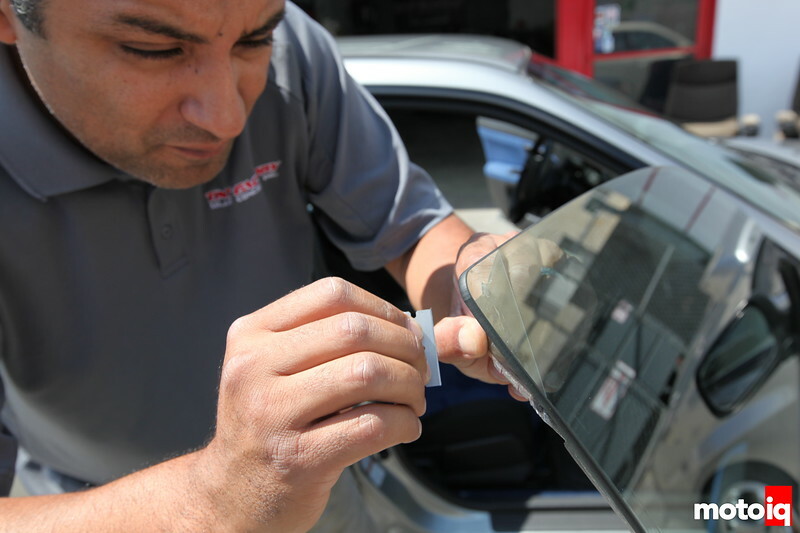 The tint is non metallic which means that it won’t interfere with garage openers, cell phones, GPS, Satellite Radio, radar detectors and other telemetric devices like some tints can. Non metallic means that the film will not internally oxidize or fade purple ensuring a longer life than lesser tints. Then we peeled the tint off carefully in one piece. A little adhesive residue remained so we scraped that off with a razor blade. The old tint was gone in just a few minutes of work.